AeroBD | The AERO news Company…Inverness, SCOTLAND, 10 March, 2016 : The Taiwan Aviation Safety Council (ASC) successfully deployed a UAV as part of its investigation into the July 23, 2014 crash of a TransAsia Airways ATR-72-500 on the island of Hoko, west of Taiwan, as described in a recently released final report on the accident. Use of drones for investigations is a growing trend among crash investigators worldwide, due to their ability to access remote locations or to quickly perform a site survey while gathering high-fidelity georeferenced data at a lower cost than manned alternatives. Flight 222 accident investigators used a Scientific Aerospace cyberQuad Maxi quadcopter. The drone was carrying a digital camera and other sensors to survey and map the path of the aircraft during the final seconds of its flight to Magong Airport in Taiwan. Brian Kuo, an investigator with the Aviation Safety Council (ASC), said the drone’s preprogrammed survey took approximately 90 min. to complete. That is a more-efficient and less-costly proposition than the typical solution—hiring and equipping a helicopter for the operation. The ASC, which had been studying the idea of using a UAV for investigations for several years, originally planned to use the Maxi for site surveys of accidents in difficult-to-access remote or mountainous areas. It regularly practices this task in joint drills with Singapore, Japan and other East Asian countries. Many of those countries are also moving ahead with plans for using drones, Kuo said. The ASC team was sent to Hoko the day after the crash. Although Magong Airport is neither mountainous nor remote, the group opted to take the quadcopter along “to see how well we could finish the site-survey task in a populous area,” Kuo said. Martin Chen, an engineer with the ASC, flew the Maxi at 100-m (328-ft.) altitude through the survey area. He collected digital images at 5-cm resolution along with GPS position, altitude and other variables. He processed that data afterward to determine the height of obstacles with the help of commercial software and a digital terrain map from the government. 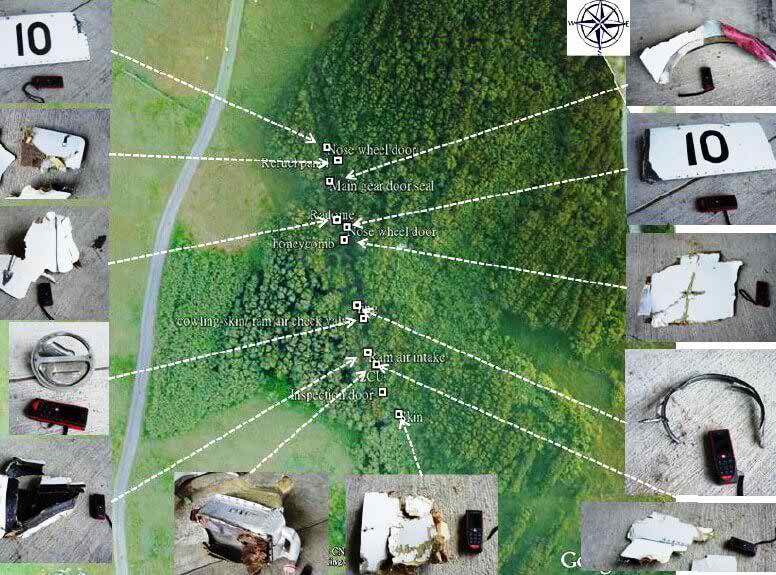 Investigators also embedded the geotagged locations of recovered components within overhead images taken by the drone, which shows the actual conditions of the environment after the crash, rather than an aerial map taken some time before. According to the final report by the Aviation Safety Council (ASC), the Flight 222 pilots descended below the minimum-descent altitude during a non-precision approach in heavy rain to Runway 20, without having visual contact with the runway. That is a violation of the airline’s standard operating procedures (SOPs). The pilots ultimately initiated a go-around, but the aircraft contacted bushes, trees and ultimately a housing complex shortly thereafter.